ONE OF THE teenagers charged with murdering Kildare schoolgirl Anastasia Kriegel will be allowed to spend Christmas Day with his grandparents. The 14-year-old boy is accused of murdering the schoolgirl at Glenwood House, Laraghcon, Clonee Road, Lucan in Dublin on 14 May this year. Her body was discovered at a disused farmhouse, three days after she was reported missing. Two teenage boys have been charged with the 14-year-old’s murder and are on bail. They cannot be named because they are minors. One of the accused was before the Central Criminal Court this morning to have his bail varied over Christmas. Mr Justice Michael White granted the variations and he will now be allowed to go with his parents to his grandparents’ home for Christmas Day and to stay there on Christmas night. He will also be allowed to go for a walk, accompanied by his parents and/or grandparents, so long as it’s not to the Leixlip area. The trial of the two teenagers, which is due to last over four weeks, has been set for 29 April next. Comments have been closed as two people have been charged in the above case. Email “Teen charged with murder of Anastasia Kriegel allowed to spend Christmas with grandparents”. 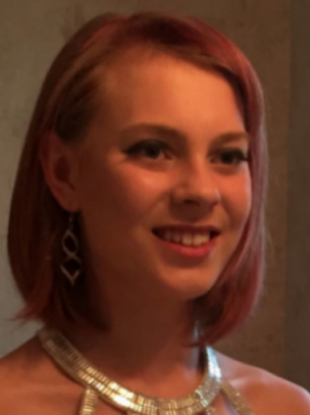 Feedback on “Teen charged with murder of Anastasia Kriegel allowed to spend Christmas with grandparents”.